Dr. Christophe Pierre begins serving as Stevens Provost on August 22. 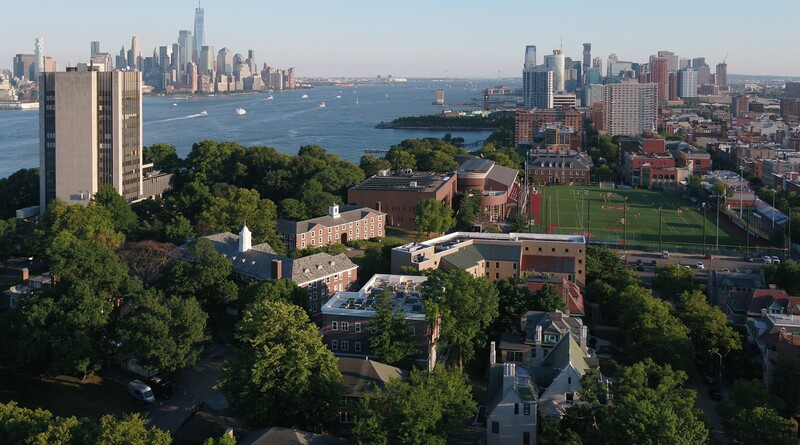 HOBOKEN, NEW JERSEY – Stevens Institute of Technology has selected Dr. Christophe Pierre, Vice President for Academic Affairs at the University of Illinois, to serve in the role of Provost and Vice President for Academic Affairs effective August 22, 2016. The announcement follows a nationwide search and intensive selection process. In this role, Pierre will serve as an officer of the university and its second highest-ranking administrator. As chief academic officer, he will be responsible for the academic integrity of the institution, for all programs and administrative offices related to the academic enterprise, and — in consultation with faculty, officers, and trustees — for long-range academic strategic planning, resource allocation and new initiatives. In consultation with the deans of the schools and the leaders of Stevens’ centers, programs, and institutes, he will also lead cross-disciplinary activities and improvements and innovations in teaching and research. Pierre will succeed current Provost George Korfiatis, who is stepping down from the post after nine years of service in that capacity. Pierre has distinguished himself as a faculty member, researcher, and academic administrator and through skilled financial management and successful fundraising endeavors. At the University of Illinois, a state institution with three campuses serving 80,000 students, he has held the position of chief academic officer for the university since 2011 and has served as the President’s deputy. In these roles, he has advised the President on matters of educational policy, academic programs, personnel actions, and capital and operating budgets. He has been responsible for the coordination of academic planning and budgeting, working closely with academic leaders on all three University of Illinois campuses in Urbana-Champaign, Chicago and Springfield. He has also held the appointment as Professor of Mechanical Science and Engineering on the Urbana-Champaign campus. "I am enormously proud and very excited that a scholar and academic administrator of the caliber of Dr. Christophe Pierre will join Stevens as Provost and Vice President for Academic Affairs," said Stevens President Nariman Farvardin. "His exemplary record of achievement as a teacher, a scholar, an academic administrator and advocate for higher education will ensure that Stevens realizes its full potential in the years ahead. I am very much looking forward to working with Dr. Pierre." "I am deeply honored and very pleased to have the opportunity to serve as Stevens’ academic leader," said Pierre. "Stevens is a superb university with a tremendous legacy, an exciting growth trajectory led by President Farvardin, and a bright future. Stevens’ core emphasis on technological innovation, together with its steadfast commitment to excellence, makes it uniquely positioned to be a global leader and to address complex technical and societal problems. I am eager to work in partnership with the entire faculty and with Stevens’ academic and administrative leadership to help realize this compelling vision." Prior to joining the University of Illinois, Pierre served as Dean of Engineering at McGill University in Montreal from 2005 through 2011 and as Associate Dean for Academic Programs and Initiatives in the University of Michigan's Horace H. Rackham School of Graduate Studies from 1999 through 2005, among other roles in higher education. He is a fellow of The American Society of Mechanical Engineers (ASME) and received ASME's N. O. Myklestad Award in 2005 for his work in vibration localization. Pierre is a leader in the fields of vibrations, structural dynamics and nonlinear dynamics. He has made seminal research contributions in numerous areas of mechanical and aerospace engineering, including the dynamics of complex large-scale structural systems, with application to aerospace and automotive structures. Over the years he has received extensive research support from General Electric, NASA, General Motors, the National Science Foundation, the Air Force Office of Scientific Research, the U.S. Army, and Pratt & Whitney Canada, among other industry and government sponsors, and authored or co-authored more than 120 research articles for refereed journals. Pierre holds a bachelor's degree in aerospace engineering from France's École Centrale des Arts et Manufactures de Paris, a master's degree in mechanical and aerospace engineering from Princeton University and a Ph.D. in mechanical engineering and materials science from Duke University. Pierre will also hold an appointment as professor in the Department of Mechanical Engineering at Stevens.